John Wick's monthly game master advice column in Pyramid was the most controversial in the magazine's history. It was seen by some as revolutionary and dismissed by others as outright dangerous. Collected here for the first time are all eleven episodes including "Hit 'em Where it Hurts," a new introduction and closing statements by the author. The advice in Play Dirty works. After reading the book, I couldn’t wait to try out Wick’s ideas and found that they could be recycled with minimal effort. I listened as my gaming group chattered on about Villain Dice, the Laws of the Table, and changes to Experience; furthermore, I realized just how much more intense the game became. This is the point of the book and it serves that point well. As you read it, you will find yourself at once going "That's low..." and "I'm gonna start using that." I could write a chapter about John Wick. He's a strange and interesting guy who doesn't apologize for his controversial political or religious beliefs. His opinions on gaming and game design are just as strange and interesting as he is, and whether or not you agree with his politics, you should definitely familiarize yourself with his role-playing philosophy. 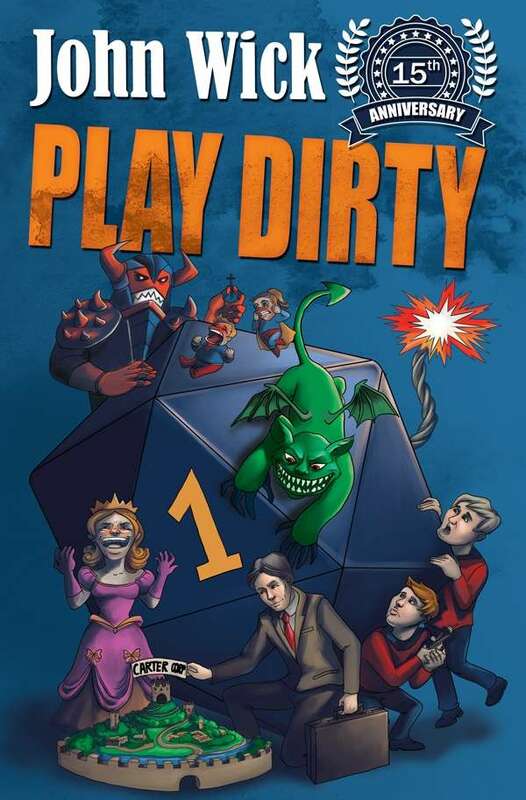 Play Dirtyis a good place to start. The full-size preview doesn't work. Will there be a Print on Demand version, or a printed version available later? What, if any, difference is there between this version, and the version I purchased here previously?